Brannigan’s club and bar has now closed. 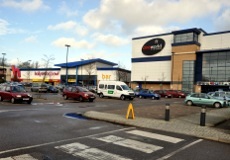 Crawley Leisure Park is on London Road, just north of Crawley High Street, and offers free parking, including disabled spaces, for about 1000 cars. There are entrances on London Road and Ifield Avenue, both of which are close to the A23. The park is about 10 minutes’ walk from Crawley train and bus stations.